Linda M. Kuehn a Wealth Manager, Investment Advisor Representative and Chartered Retirement Planning Counselorsm, provides financial planning and investment advice. She is Georgia licensed in Life, Health, Disability, Long Term Care and Variable Life, and holds a Georgia securities license. Linda joined McCormack Financial Planning, Inc. in 2000. Linda received exceptional training in portfolio management, and financial planning while working closely with her mentor and mother, Barbara McCormack CFP®. This focused and individual training allowed Linda to earn Series 7 and 66 Securities License and she continued her education, completing Emory’s Certificate in Financial Planning in 2008. Linda’s previous experience of running her own business and managing large dental practices taught her the importance of goal setting and monitoring the steps to reaching your goals as the keys to success. Linda enjoys working closely with her clients and building a trust relationship. Through understanding her clients goals and their current and future financials, a plan is created, implemented and monitored in order to reach the optimum result. 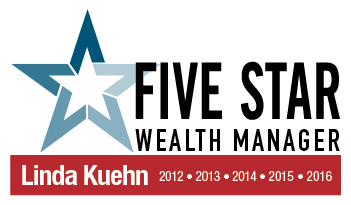 She has been selected to receive The Five Star Wealth Manger Award 2012-2016. 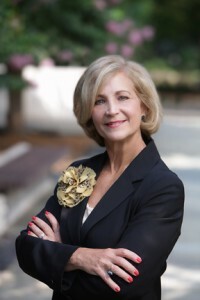 Linda is a member of the Financial Planning Association of Georgia and has served on the Board of Directors. She lives in Marietta, with her husband, Rick, and treasures spending time with her grandchildren, Grace and Ethan and sharing in the lives of her three children, Laura, Taylor, and Tori. Her free time is spent at Boot Camp, hiking, cooking, traveling and dining out.